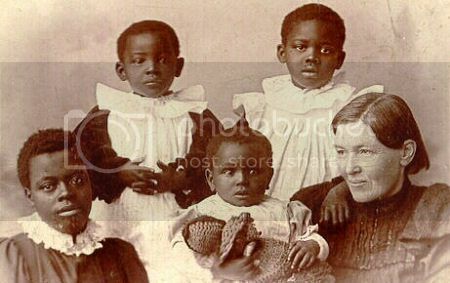 With fiery red hair, as well as an equally fiery spirit, and a petite frame, Mary Slessor wasn't exactly who you pictured to be braving the dense African jungle to share the Good News. God, however, often uses those we may not expect or those who seem weaker or smaller. Such was the case with Mary. Mary was the second oldest of seven, born to a poor family in Scotland. Her father was addicted to alcohol and did not strive to provide for his large family. Thus, sadly four of her siblings died of starvation. Mary worked tirelessly at the mills trying to provide the necessities her family so desperately needed. This Scottish lady was known for her strong determination and fiery spirit. As one famous story goes, a gang of boys swung a metal weight close to her face, trying to scare her. As it turns out, the boys swung the weight closer and closer without Mary flinching at all. The entire gang was so impressed by this that they decided to attend Mary's Sunday school class with her! Even the leader of the gang came to Christ as a direct result of Mary! Having long admired Dr. David Livingstone, she was saddened to hear of his passing in May of 1873. She wondered who would take up the cause of sharing the Gospel with those who had never heard it in Africa. Mary had always longed to follow in Dr. Livingstone's footsteps, but there were many who said she'd just be going to her grave early. They recounted story after story of missionaries dying within the first year or two on the field, trying to discourage her from going on the mission field. One day, Mary's mother told her that Mary must go to Calabar (now modern day Nigeria). Mary, however, wasn't sure that was God's will, so when she did eventually apply to the Foreign Mission Board, she said she would go anywhere. Imagine her shock when the one of the board's commissioners told her that her application was just in time because they needed missionaries in Calabar! 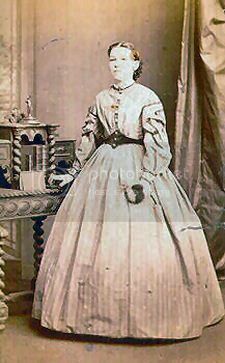 After some training in Edinburgh, Mary sailed to Africa in August 1876. Once in Calabar, Mary came across several obstacles in her ministry work, including the fact that the natives said whatever they thought Mary wanted to hear and the fact that white men were trading with the natives and giving them rum and gin. Mary also came across much witchcraft and barbaric tribes. It wasn't long, though, that the natives began to see that this strange White Ma, as they called her, truly cared for them and wanted to show them God's love. It certainly wasn't easy, though. Many of the Efiks (the natives) were deeply entrenched in their witchcraft customs, which included killing twin babies because they believed one of the babies to be a devil-child. One day, a trader cautiously brought her a bundle of rags and whispered that he found it upriver. When Mary pulled away the rags, she discovered a little baby girl, only a day or two old. From that point on, she became White Ma to many abandoned and orphaned children. Throughout her years in Africa, Mary faced many challenges, but also had many victories. God knew that she needed each challenge and victory to reach the Efik people for Him. As Mary said, "Every day's duties were done as every day brought them, but the rest was left with God."